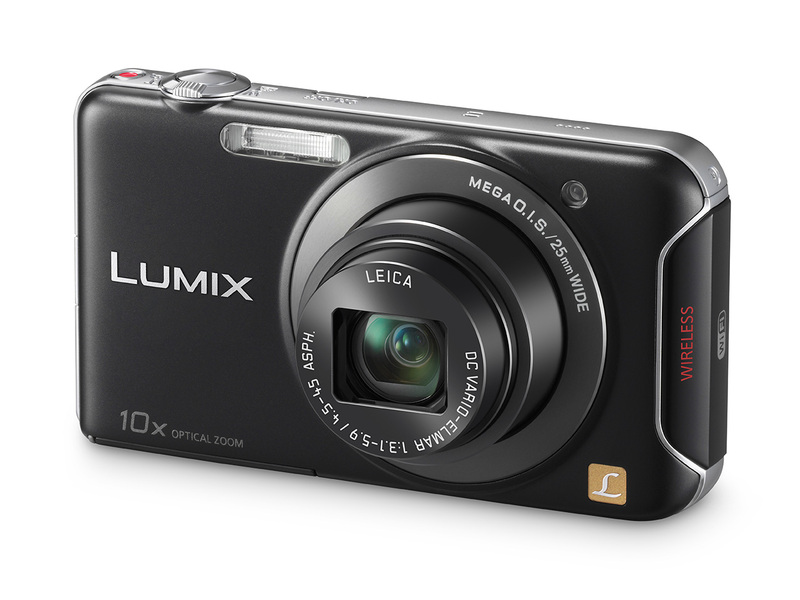 Panasonic has created the Lumix DMC-SZ5, a budget-conscious Wi-Fi compatible compact superzoom. The SZ5 is built around a 14MP CCD and a 10X, 25-250mm equivalent stabilized zoom, with the aim of offering the kind of zooming flexibility that a mobile phone can't match. The CCD means it can only produce 720p video at up to 30 frames per second. The SZ5 also features USB charging. July 18, 2012 (Secaucus, NJ) – Panasonic today announced the LUMIX DMC-SZ5, a slim and compact digital camera which features 10x optical zoom (35mm camera equivalent: 25-250mm) and integrates Wi-Fi connectivity to allow for quick file sharing while at home or on the go. Marrying the conventional digital camera experience with Wi-Fi capability allows users to connect the LUMIX SZ5 directly to their smartphone device and easily shoot and share photos. 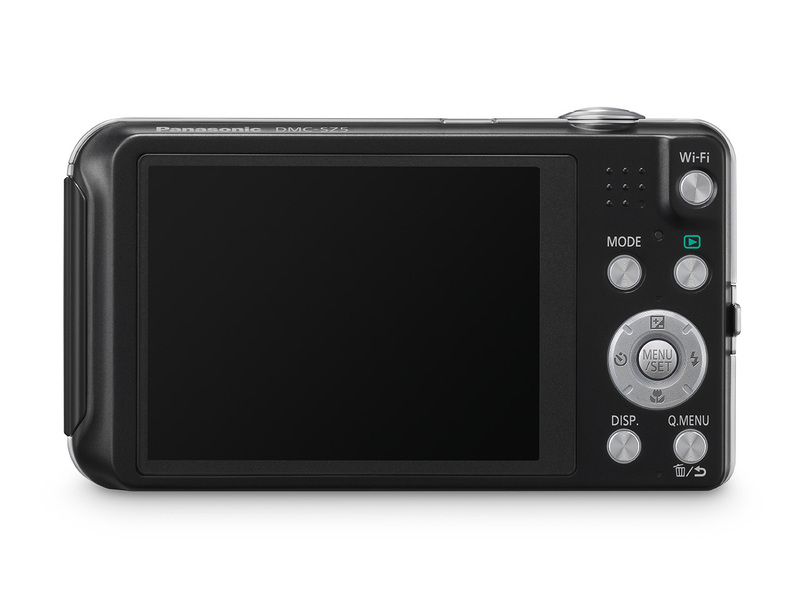 The LUMIX SZ5 integrates Wi-Fi connectivity so that users can enjoy flexible shooting style and instant imaging sharing. The LUMIX SZ5 can be connected directly to a smartphone device by using it as a wireless router, which eliminates the need to search for a Wi-Fi hotspot. With the LUMIX LINK application, for iOS/Android smartphone devices, users can utilize remote shooting, which allows them to place the LUMIX SZ5 at a shooting position and monitor what the lens is seeing live from their smartphone device at 30 fps (frames per second). Users also have the ability to zoom, set focus position, shoot and playback images directly from their smartphone screen using the app. Additionally, users can tag location information to images by utilizing the GPS (Global Positioning System) log of a smartphone. In addition to the camera’s ease-of-use for connected consumers, the LUMIX SZ5 boasts exceptional optical performance, producing images with stunning clarity imagery in a slim and compact camera body. A 25mm ultra wide-angle LEICA DC VARIO-ELMAR lens system with powerful, 10x optical zoom excels in shooting both dynamic landscapes with wide-angle views and up-close subjects. With Intelligent Resolution Technology, the Intelligent Zoom feature extends the cameras zoom ratio up to 20x the equivalent while maintaining crisp picture quality. The 14.1 megapixel CCD sensor and Venus Engine processes high-quality images in both photo and video recording. Sonic Speed AF (Auto Focus) helps users capture even the most fleeting photo opportunities. The LUMIX SZ5 records dynamic HD video in 1280x720 at 30p in MP4*1 format which can be played back directly on a PC or other portable electronics device without the need to convert the file. A dedicated video button allows users to quickly switch between photo mode and video recording. To help ensure the LUMIX SZ5 is easy to use, the digital camera features Panasonic’s popular iA (Intelligent Auto) mode. In iA mode, a suite of technologies are automatically engaged and the camera chooses the best setting based on the shooting environment. For instance, iA includes Face Detection, AF Tracking, Intelligent ISO Control, Intelligent Scene Selector and Intelligent Exposure. MEGA O.I.S. (Optical Image Stabilizer) helps to suppress handshake which often occurs when shooting using high zoom. Furthermore, the Auto Retouch function automatically adjusts the contrast and brightness to give any photo a different impression with the touch of a button. The LUMIX SZ5 also features special effects to enhance the shooting experience and create fun photo options. In Miniature Effect mode, the peripherals are defocused while saturation and contrast is emphasized to make the picture look like a diorama. Video recorded in Miniature Effect mode is played back in 10x fast-forwarding, making it comical and fun to watch*2. Panorama Shot makes it possible to shoot a horizontal or vertical panoramic image by taking consecutive shots and then overlaying the photos for the effect of a panoramic photo. The new LUMIX SZ5 makes archiving images as simple as charging the camera’s battery. Both photo and video, in their original size, can be archived to registered digital equipment, like a PC or compliant Panasonic AV equipment, automatically via a home’s wireless router when the camera’s battery is being charged, eliminating the need to eject and re-insert the camera’s SD Memory Card or connect the camera to a computer via USB cable. Users can also save photos to the Panasonic exclusive cloud service, “LUMIX CLUB” and easily transfer images to Facebook™, Flickr™, Picasa™, Twitter™ or YouTube™. The LUMIX SZ5’s Wi-Fi function also allows for playback of images on DLNA (Digital Living Network Alliance)-compliant VIERA HDTV’s*3. Pricing and availability will be announced approximately 30 days prior to shipping. 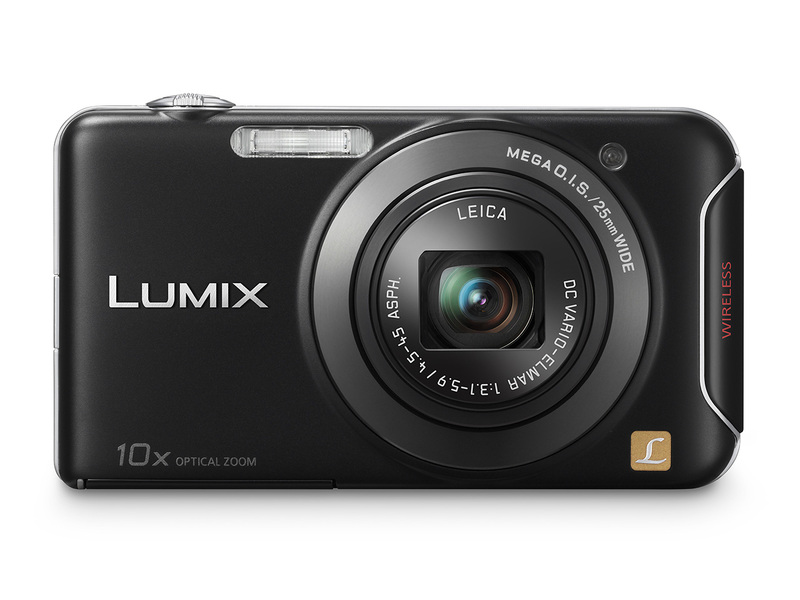 The LUMIX DMC-SZ5 will be available in black and silver. For more information about Panasonic LUMIX digital cameras, please visit www.panasonic.com/lumix. *1 Motion pictures in [MP4] can be recorded continuously for up to 29 minutes 59 seconds. Also, motion picture recorded continuously in [MP4] is up to 4 GB. • Use an SD Memory Card with "Class 4" or higher speed when recording videos. • The LEICA DC VARIO-ELMAR lenses are manufactured using measurement instruments and quality assurance systems that have been certified by Leica Camera AG based on the company's quality standards. • DLNA, the DLNA Logo and DLNA CERTIFIED are trademarks, service marks, or certification marks of the Digital Living Network Alliance. • Wi-Fi is a registered trademark or trademark of Wi-Fi Alliance®. • Facebook® is a trademark of Facebook Inc.
•Other names of systems and products mentioned in these instructions are usually the registered trademarks or trademarks of the manufacturers who developed the system or product concerned. CCD means it can only shoot 720p? Come on, what are you writing. There were CCD based HD camcorders and even some still cameras with FullHD capability a while ago. Sensor technology has nothing to do with video capability. Panasonic and other companies could build a camera with CCD and FullHD capability, but they don´t want because CMOS is cheaper to produce so they sell CMOS as "newer and better" and put CCD in their budget cams because it´s "old". Some years ago CMOS was only found in cellphones(which shot mediocre quality at this time) and CCD was state of the art. If only it had RAW capture, a bit faster lens and a hinged LCD display with more pixels, this little Panny might be the perfect pocket camera. The problem is: It is marketed as budget camera with budget technology. Panasonic wants people with a demand for RAW to buy their LX7. You're exactly right, Lupti - and that's my biggest complaint against the large camera manufacturers. Like the personal computer manufacturers, they want us all to buy (and pay for) far more capabilities and features than most of us really need. They also want us to upgrade every year or two, so they hold back on the features and innovations we want most. I'm fairly certain my ideal camera is already sitting in a lab somewhere, in rough prototype form. But the manufacturer won't put it into production for 3-4 more years, because doing so ahead of the marketing curve would mean leapfrogging too many intermediate models (and losing to much potential income) in the interim. Wifi cameras are a step in the right direction imo. Photo sharing via the iPod/iPhone is just so convenient when families are clamoring for every day shots of the new baby or similar. I'll be interested to see how this develops. I wonder: Is there official documentation for the Wi-Fi interface?